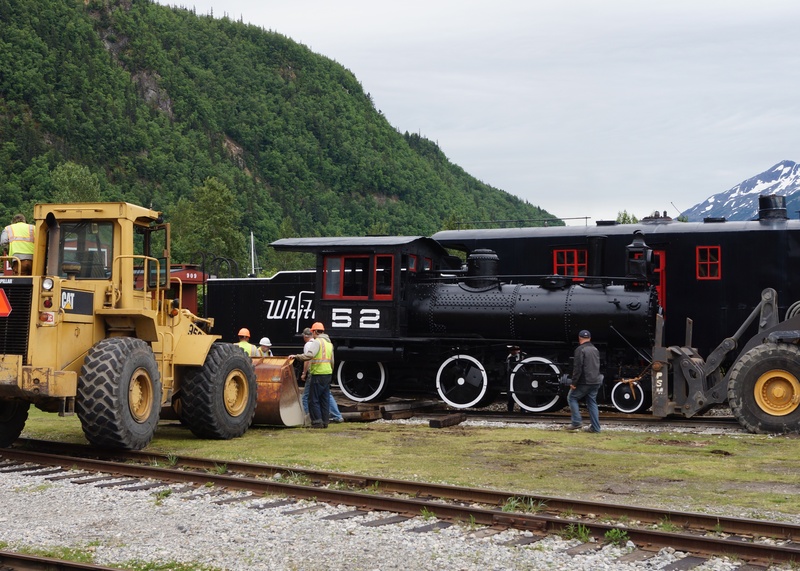 After being the highlight of WP&YR’s float in Skagway’s 4th of July parade, Engine No. 52 now has a new home alongside Rotary No. 1 behind the Skagway Depot. Residing at the Maintenance Shops for many years and slowly succumbing to the elements, Engine No. 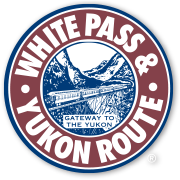 52 is believed to be the first engine to reach the White Pass Summit in February 1899. Keeping in mind the engine’s huge historical significance, WP&YR Painters Judy Martell and Mike Mileski transformed the engine from rusty to radiant, doing an excellent job restoring her to former glory. On Saturday July 5, Maintenance of Way employees carefully and expertly maneuvered Engine 52 from a flatbed trailer onto a short track near Centennial Park that will be her new home. WP&YR is very excited that this piece of living history will now be more easily accessible to the traveling public!